First of all, we need to talk about the smell. 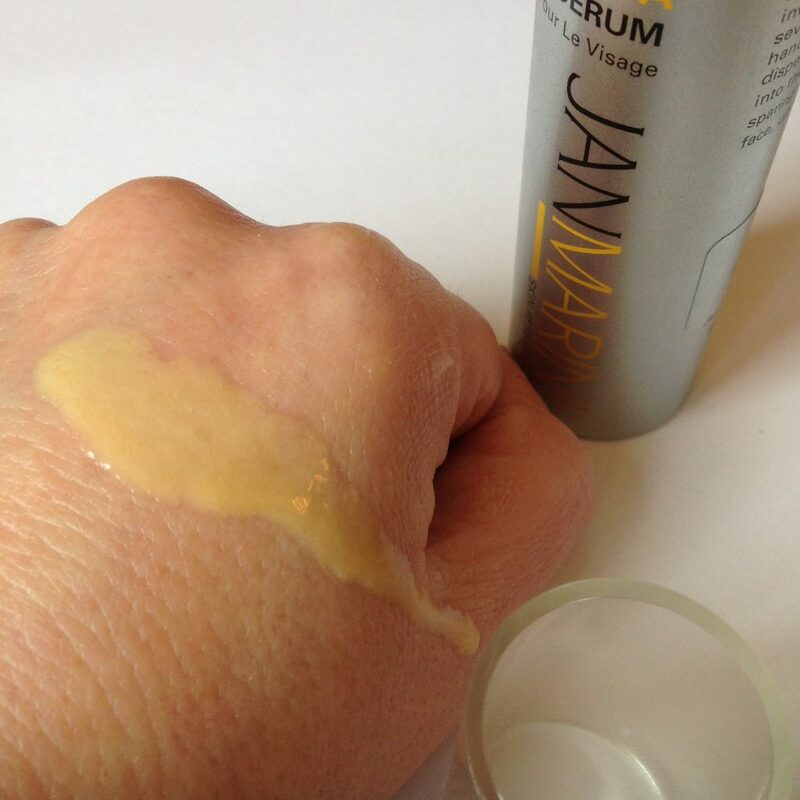 Jan Marini C-ESTA Face Serum smells DELICIOUS. The mango-esque tropical blend, similar to that found in their Summer Exfoliator and Daily Face Protectant is a real joy to put on your face. Nothing like rubbing this stuff in to make you feel like you’ve got a little sunshine in your life. Even when it’s tipping down with rain outside. The down side to this is that if you have very sensitive skin that doesn’t react well to fragrance then this serum is not for you. US brand Jan Marini Skin Research say that it’s suitable for all skin types, but I would be a little cautious if you normally react to scented products. There is a lot of it in here. I love it, but it won’t be for everybody. Apart from the fragrance, ingredient-wise you’re looking at some real skincare heroes: hyaluronic acid, vitamins B, C and E and urea all combine to make this a highly moisturising serum. The packaging is a clean and elegant sealed silver pump to keep active ingredients stable and protected from the air. Texture-wise as you can probably tell from the picture below, this pale egg yolk yellow serum has quite a thin and watery feel to it. You can see it in the picture rolling off my hand straight away. The thin texture means that you only need to use a little at a time; certainly much less than a whole pump. So whilst it’s a pricey product, a little goes a long way. One thing it’s not is oily. It’s more of a silky and lightly moisturising serum that would suit quite a wide range of skin types. I’ve been using it for around three weeks and I can definitely see and feel an improved, smoother skin texture. And if you pair it with the Jan Marini Bioglycolic Cleanser they’re a pretty dynamic skincare duo, as one preps the skin and the other treats it. So as the thunder rolls outside and the lightening splits the sky I’m just going to be here sniffing my mango-scented hand. Could be the closest thing I get to summer all year. 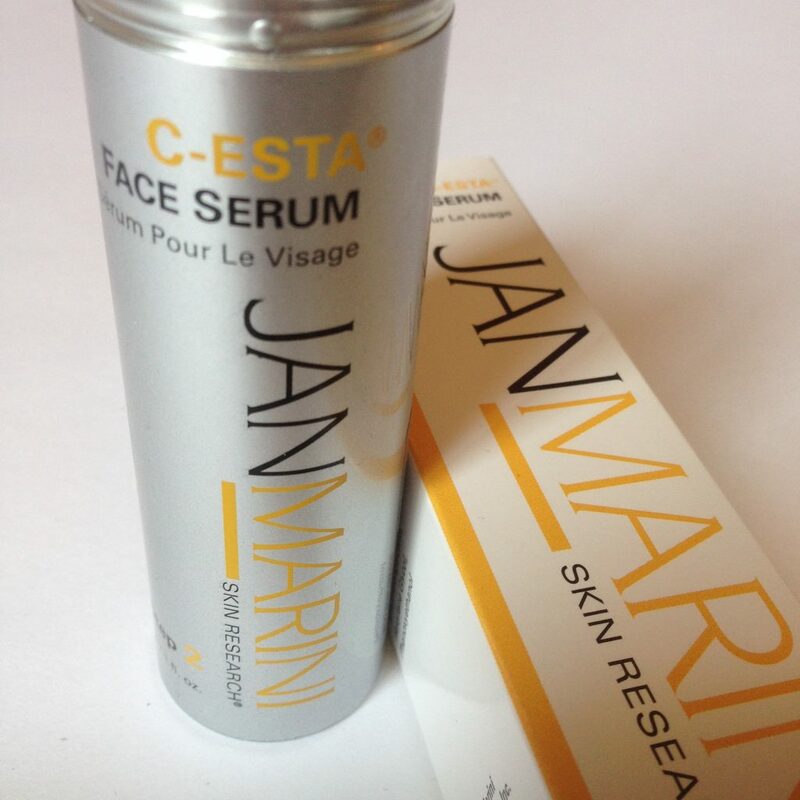 Jan Marini C-ESTA Face Serum RRP £71 for 30ml, available here from Dermacare Direct for £60.